Visit our designs page and select a standard design that suits you. Remember, our standard plans are just the starting point for your custom design home and all plans can be customised to suit Sloping or Narrow building sites. The choice is yours. Ezy Homes gives you plenty of options to suit your budget. View our Owner Pricing and our Builder Completion Pricing to get an idea on what your new home could cost….it may be lower than you think. Speak to our friendly expert staff and as any questions that are on your mind. You can call us 07 3807 0937 or via our contact form. If you just can’t wait, then simply head over to our Frequently Asked Questions for more helpful info. After our discussions with you, we prepare a project brief based on your personal requirements, budget, land & design preferences. Did you know that once we reach the “Design & Drafting Phase” you enter our 28 day Priority Drafting Service that fast tracks you into your home? It’s just part of the design process. We work with you to develop your house plans, and then either provide you with the building materials. You organise supplier quotes and sub-trades, then manage your new home project through to completion. You contract a licensed builder to manage the entire construction process, from council to completion, for an agreed amount; building to a stage that suits you. Be sure to as about our national network of quality builders. Still unsure? Contact us and we can help find the right option for your needs. All of the frame components are pre-engineered, factory cut and drilled – so that it simply bolts together on-site. We offer our homes in a kit form, which is easily erected by the home handyman or tradesman alike. From our deep consultative process, we individually draft your house plans. Our 28 day Priority Drafting Service is designed to have you 100% happy and into council within record time. Once council approved your steel frame components are delivered to site 3-4 weeks after footings are poured. 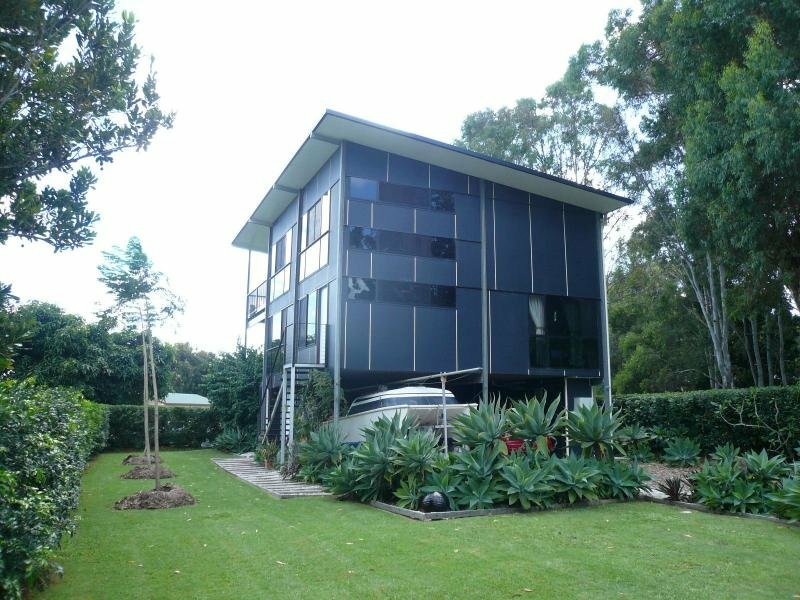 Ezy Homes (Australia) Pty Ltd has been supplying and erecting steel pole homes since 2000. We are a family owned business with over 50 years of combined experience in design, drafting, consulting, building, R&D, and construction management. Meet the team and learn more. Take a look at our reviews from our happy customers. Have you ever had a project on a challenging site? We’re very experienced in exporting custom homes & structural steel building solutions throughout the Pacific. 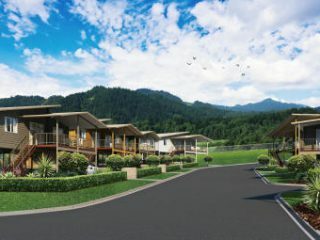 There are Ezy Homes in PNG, Fiji, Nauru, Vanuatu, Timor Leste & The Cocos Keeling Islands.